Washington (CNN) The White House Office of National Drug Control Policy outlined Thursday its top priorities for combating illicit drug abuse and distribution in the United States in the office’s first National Drug Control Strategy. 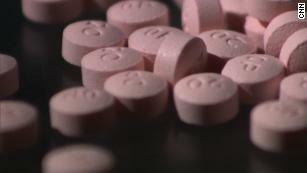 The strategy, which is much shorter than those released under the Obama administration, maintains a major, concentrated focus on opioid abuse and addiction prevention, and references several recommendations provided by President Donald Trump’s commission on Combating Drug Addiction and the Opioid Crisis in its 2017 final report. The strategy’s top measure of effectiveness is significantly reducing the number of Americans dying from drug overdoses within five years. 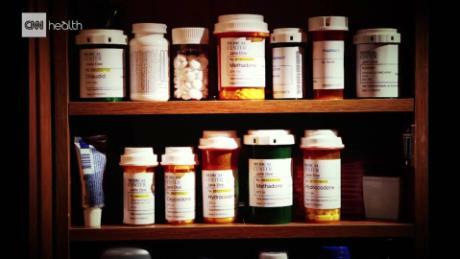 The White House drug control office also laid out goals to reduce national opioid prescription fills by a third, improve access to evidence-based addiction treatment and reduce the availability of illicit drugs within the US. Following the 2017 commission report’s emphasis on drug take back initiatives, the new report recommends expanding the number of permanent unused drug disposal sites around the country. The new strategy says that the federal government ought to prioritize which drug trafficking organizations should be sought after based on the lethality of the drugs they traffic. “(T)he unprecedented rise in deaths from the opioid crisis demands that we prioritize US government efforts on the individuals and groups involved in the smuggling and sale of the most deadly drugs such as synthetic opioids and heroin,” the report states. It also previews where the White House plans to go next in combating illicit drug distribution and abuse. According to the strategy, the media campaign launched by the White House Office of National Drug Control Policy targeting young audiences “will use data analytics to determine appropriate messaging based on target population and substance” and work on further message targeting with multiple formats, languages and for individuals with disabilities moving forward. The report states that the Trump administration will also be building on Centers for Disease Control guidelines states and safe prescribing practices and “will build on existing research regarding barriers to nation-wide (prescription drug monitoring programs) implementation, and employ various strategies to support PDMP integration and data sharing” in the coming years. In addition, the White House drug control office laid out plans to work with the private sector to increase hiring opportunities for individuals in addiction recovery. The release of the administration’s first-ever National Drug Control Strategy comes following some internal tumult within the office in its first two years. Following Trump’s inauguration, reports surfaced to suggest that the office may have drasticallyreduced their budget. While the office avoided the proposed cuts, it was again in the news when it was reported that the nominee in consideration to lead the office took nearly $100,000 from the pharmaceutical lobby while sponsoring legislation related to opioids’ pharmaceutical distribution. And again, in January 2018, the office was in the spotlight when The Washington Post reportedthat a 24-year-old former campaign volunteer was rising through its ranks. He ultimately stepped down from his role in the office. Most recently, Politico reported that Charmaine Yoest, the office’s associate director, will be leaving her post after a little less than a year in the position.